The CPU6000 series is made up of three instruments: the model CPU6000-W weather station, the model CPU6000-S pressure balance sensor box and the model CPU6000-M digital multimeter. All of these products serve for the acquisition of measured value data, relevant for calibration certificates. The new calibration concept simplifies the generation of certificates and increases the productivity and quality of the certificate generation process. In combination with any pressure balance (dead-weight tester), the CPB-CAL (iPad® app) and/or WIKA-CAL (PC software) can determine the necessary masses or the reference pressure. Through simple operation and setting, the calculation of the masses or the pressure is made easier. The CalibratorUnit takes into account all critical influencing factors and thus increases the accuracy of the measurement. A calibration of relative pressure measuring instruments with absolute pressure references, and vice versa, is also possible. Via the integrated voltage supply and multimeter function, easy calibrations of pressure transmitters can be carried out. The weather station and the digital multimeter can also be used, independently of the pressure balance calibration, with other calibration instruments and the WIKA-CAL software. Existing automatic calibration systems can thus be enhanced. The generation of the certificate is made in conjunction with the WIKA-CAL software. 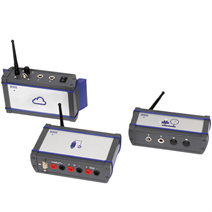 The CalibratorUnit communicates wirelessly over Bluetooth® 4.0 with an iPad®. A USB interface is available for PC connection. iPad® is a registered trademark of Apple Inc. in the United States and other countries.